Rigoberto González es autor de cuatro libros de poesía. El más reciente, Unpeopled Eden, ganó el premio Lambda Literary Award y el Lenore Marshall Prize de la Academia de Poetas Americanos (Academy of American Poets). Sus diez libros de prosa incluyen dos libros bilingües para niños, tres novelas juveniles en la serie de Mariposa Club, la novela Crossing Vines, la colección de cuentos Men Without Bliss, y tres libros de ensayo y testimonio, incluyendo Butterfly Boy: Memories of a Chicano Mariposa, el cual recibió el premio American Book Award por parte de Before Columbus Foundation. También editó el libro Camino del Sol: Fifteen Years of Latina and Latino Writing y el nuevo y seleccionado volumen de Alurista Xicano Duende: A select Anthology. Ha recibido las becas Guggenheim, NEA y USA Rolón, un subsidio de poesía por el NYFA, el premio Shelley Memorial Award por parte de la Sociedad de Poesía de América (Poetry Society of America), los premios Poetry Center Book Award, y el Barnes & Noble Writer for Writers Award. Es editor para Poets & Writers Magazine y escribe una columna mensual para NBC-Latino online. Actualmente, es profesor de inglés en Rutgers-Neward, la universidad estatal de New Jersey, y el primer Distinguido Escritor en Residencia Stan Rubin en el taller de escritura Rainer. En el 2015, recibió el premio Bill Whitehead Award por los logros en su carrera por parte de Publishing Triangle. Desde el 2016, es crítico para el L.A. Times y es parte del consejo directivo de la Asociación de Escritores y Programas de Escritura (Association of Writers and Writing Programs). 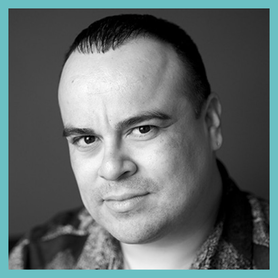 Rigoberto González is the author of four books of poetry, most recently Unpeopled Eden, which won the Lambda Literary Award and the Lenore Marshall Prize from the Academy of American Poets. His ten books of prose include two bilingual children's books, the three young adult novels in the Mariposa Club series, the novel Crossing Vines, the story collection Men Without Bliss, and three books of nonfiction, including Butterfly Boy: Memories of a Chicano Mariposa, which received the American Book Award from the Before Columbus Foundation. He also edited Camino del Sol: Fifteen Years of Latina and Latino Writing and Alurista's new and selected volume Xicano Duende: A Select Anthology. The recipient of Guggenheim, NEA and USA Rolón fellowships, a NYFA grant in poetry, the Shelley Memorial Award from the Poetry Society of America, The Poetry Center Book Award, and the Barnes & Noble Writer for Writers Award. He is contributing editor for Poets & Writers Magazine and writes a monthly column for NBC-Latino online. ​Currently, he is professor of English at Rutgers-Newark, the State University of New Jersey, and the inaugural Stan Rubin Distinguished Writer-in-Residence at the Rainier Writing Workshop. In 2015, he received The Bill Whitehead Award for Lifetime Achievement from the Publishing Triangle. As of 2016, he serves as critic-at-large with the L.A. Times and sits on the Board of Trustees of the Association of Writers and Writing Programs (AWP).